BICESTER, United Kingdom, December 6, 2017	(Newswire.com) - Built by Dell EMC and Alces Flight, the solution will use Amazon Web Services (AWS) to provide students and researchers a greater depth of flexibility in research by combining on-premises and cloud resources into a hybrid High Performance Computing (HPC) solution. The collaborative solution from Dell EMC and Alces Flight on AWS is the first of its kind for the University of Liverpool. A fully managed on-premises HPC cluster and cloud-based HPC account have been architected for students and researchers to achieve access to the computational resources required with as little delay as possible. To learn more about this solution, contact Cristin Merritt at 01869 249065 or info@alces-flight.com or visit http://alces-flight.com. The University of Liverpool is one of the UK’s leading research institutions with an annual turnover of £480 million, including £102 million for research. Ranked in the top 1% of higher education institutions worldwide, Liverpool is a member of the prestigious Russell Group of the U.K.’s leading research universities. Alces Flight is made up of a team of specialists in High Performance Computing (HPC) software for scientists, engineers and researchers. Based in the U.K., Alces designs, builds and supports environments to help users make efficient use of the compute and storage resources available to them. Our products are designed to support both existing users with software that is familiar to them and help first-time users to discover, learn and develop their HPC skills. Alces specialise in High Performance Computing (HPC) software for scientists, engineers and researchers. We design, build and support environments to help users make efficient use of the compute and storage resources available to them. 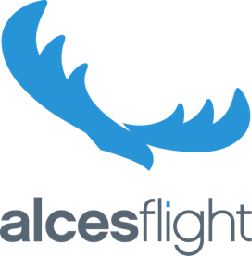 Microsoft Azure customers worldwide now gain access to Alces Flight to take advantage of the scalability, reliability and agility of Azure.